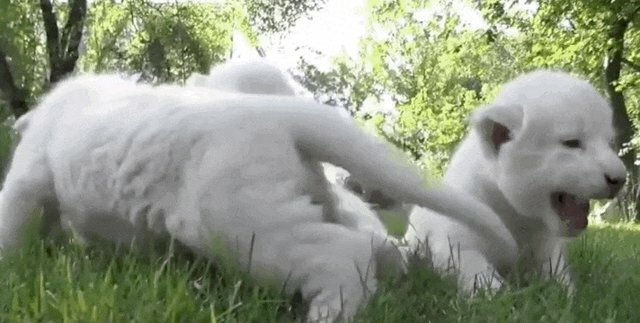 A video is making the rounds of four little white lion cubs stumbling around adorably as they struggle to take their first steps - but there's something very troubling about it. 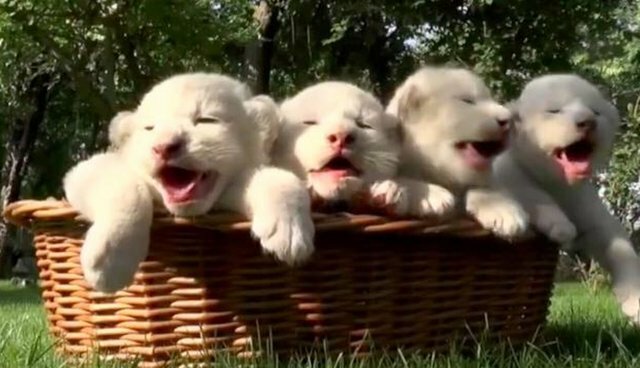 The video, filmed at a safari park in Sevastopol, Crimea, shows the cubs cuddling in a wicker basket - with no mom in sight. A female lion in the wild would never leave her cubs alone so young. Lionesses typically take newborn cubs away from the rest of the pack and nurse them in hiding until they're about 8 weeks old. Lion cubs in the wild aren't weaned until between 7 to 10 months old - meaning these lions in the video are way too young to be living without their mother, even if they have human caretakers. 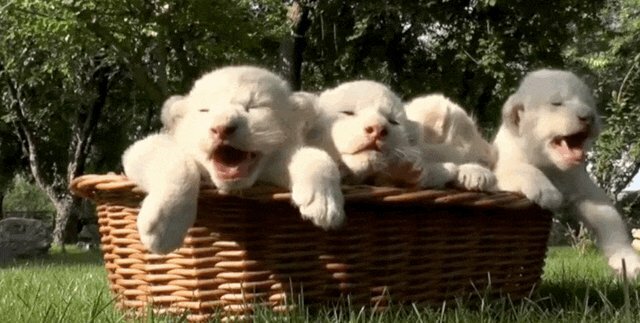 White lions are the result of a genetic mutation and they're especially rare. The Global White Lion Protection Trust reports that there are hundreds in captivity, but only 13 white lions living naturally in the wild. Here's hoping these little cubs get to grow up safely with their mother - after all, they need a family way more than they need internet fame.